The illustration at left depicts a virion – the infectious particle that is designed for transmission of the nucleic acid genome among hosts or host cells. A virion is not the same as a virus. I define virus as a distinct biological entity with five different characteristics. Others believe that the virus is actually the infected host cell. Viruses are presented as organisms which pass in their ontogenetic cycle through two distinctive phenotypic phases: (1) the vegetative phase and (2) the phase of viral particle or nucleic acid. In the vegetative phase, considered herein to be the ontogenetically mature phase of viruses, their component molecules are dispersed within the host cell. 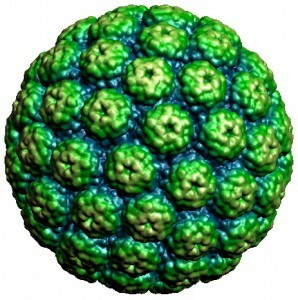 In this phase the virus shows the major physiological properties of other organisms: metabolism, growth, and reproduction. According to Bandea’s hypothesis, the infected cell is the virus, while the virus particles are ‘spores’ or reproductive forms. His theory was largely ignored until the discovery of the giant mimivirus, which replicates its DNA genome and produces new virions in the cytoplasm within complex viral ‘factories’. Claverie suggested that the viral factory corresponds to the organism, whereas the virion is used to spread from cell to cell. He wrote that “to confuse the virion with the virus would be the same as to confuse a sperm cell with a human being”. If we accept that the virus is the infected cell, then it becomes clear that most virologists have confused the virion and the virus. This is probably a consequence of the fact that modern virology is rooted in the study of bacteriophages that began in the 1940s. These viruses do not induce cellular factories, and disappear (the eclipse phase) early after cell entry. 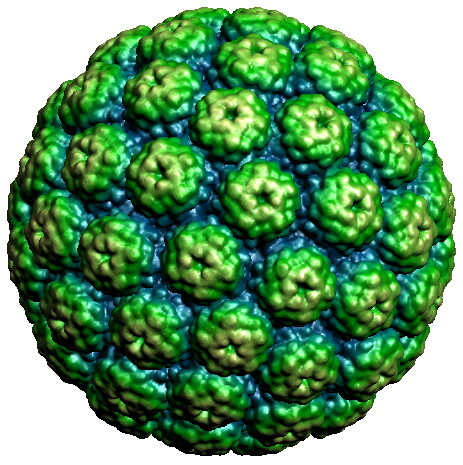 Contemporary examples of such confusion include the production by structural virologists of virus crystals, and the observation that viruses are the most abundant entities in the seas. In both cases it is the virion that is being studied. But virologists are not the only ones at fault – the media writes about the AIDS virus while showing an illustration of the virion. Those who consider the virus to be the infected cell also believe that viruses are alive. …one can conclude that infected eukaryotic cells in which viral factories have taken control of the cellular machinery became viruses themselves, the viral factory being in that case the equivalent of the nucleus. By adopting this viewpoint, one should finally consider viruses as cellular organisms. They are of course a particular form of cellular organism, since they do not encode their own ribosomes and cell membranes, but borrow those from the cells in which they live. This argument leads to the assumption that viruses are living, according to the classical definition of living organisms as cellular organisms. Raoult and Forterre have therefore proposed that the living world should be divided into two major groups of organisms, those that encode ribosomes (archaea, bacteria and eukarya), and capsid-encoding organisms (the viruses). I like this way of looking at viruses. What would a “correct” illustration of the HIV virus look like? Just a cell showing provirus integration and perhaps some viral mRNA's being transcribed? Thanks for this post! This is such a new way of looking at virus for me. I mention it in my blog post at http://diseaseoftheweek.wordpress.com where we are debating the merits of viruses and bacteria. it is much more explanatory!! !it makes basic concepts very clear!! very nice! So many years under the Ignorance, nothing will be the same for me again. Very succinctly put. This dispelled a long standing confusion of mine, thank you. am stunned, the text eplains well the basics of a virus and gives an introduction to virology with ease. Thank you for a thought provoking article! I like this idea of thinking of the virus as having 2 distinct phases “virion” and “infectious cell”. This is going to be very helpful in creating the visual for my science for non-scientist classes. This actually makes it more complicated, turns a simple classification into ontological “what is life debate”, a huge digression from moving into useful work. A virus is an infectious obligate parasite, but as you’ll lean later, a virus isn’t infectious. this definition is more of a how than a what. How about a virus is : the genetic material, and a virion is the vehicle that transports it, a cell with virus particles is simply a cell infected with a virus. So Claverie’s comment crystallises very nicely something I have been teaching for years: virions are like spores or seeds; you can freeze ’em, freeze-dry them, store them in the absence of any metabolic activity for centuries, it seems – and then reconstitute a virus by simply introducing it to the correct environment, in the shape of a host cell. what do u think !!!! So, the virus is the taxonomic category of these biological entities, and the virion is the individual entity? Of course an insightful comment is immediately met with conspiratorial nonsense. Of course. The extracellular virion is anything but active; it’s more of a dormant virus, much as a pinecone can be considered a dormant tree. The contents of the virion only come to live upon entry into a host cell. Very good point of view! I liked it! Are virions basically vesicles that are used as transporters for viruses? Once they have attached to the host cell they become a virus. Is it safe to think of viruses as the active form and virions as the inactive (dormant) form which is used mainly for transportation but no other activity?